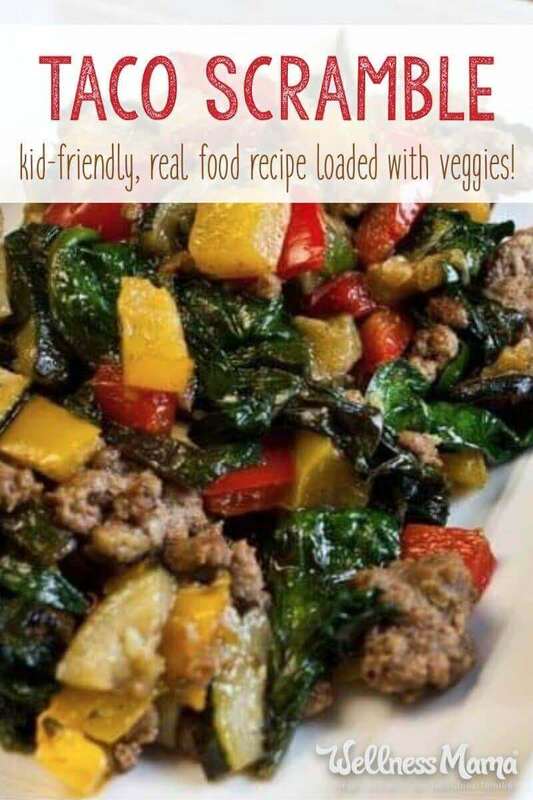 Plus using simple recipes means my kids can help make dinner, which teaches them skills they’ll need for a lifetime. They are always eager to help with this one as they love Mexican flavors. If it tastes like tacos, they will eat it! 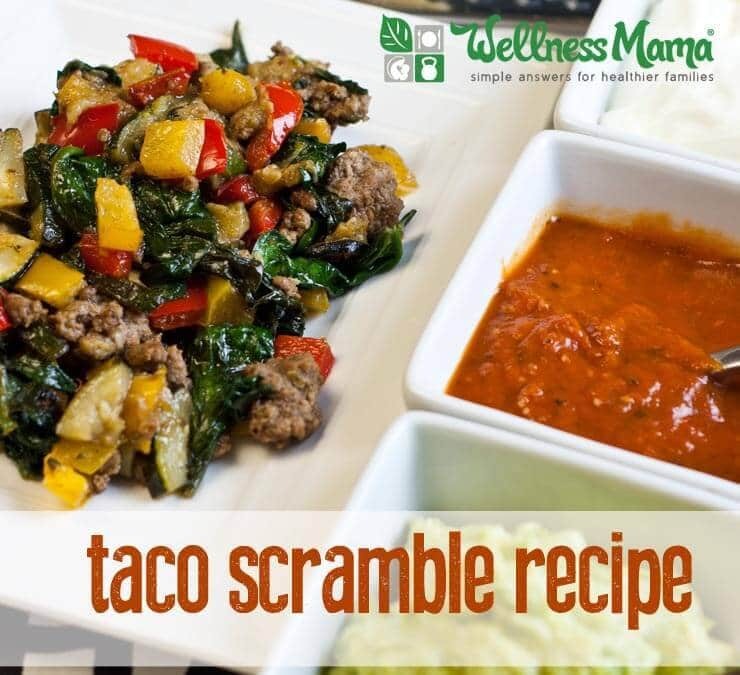 If you love Mexican food as much as our family does, it makes sense to use a ready-made taco seasoning in place of the individual spices called for in the recipe. Of course I don’t mean buying those packets of taco mix from the store, which are filled with … well, fillers. An easy stir-fry with Tex-Mex flavors. 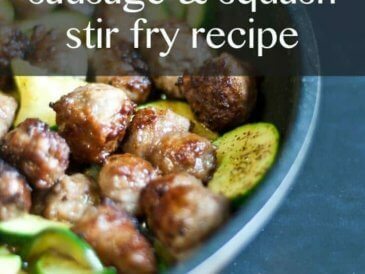 This is a great fast meal for a busy night and is also delicious for breakfast! 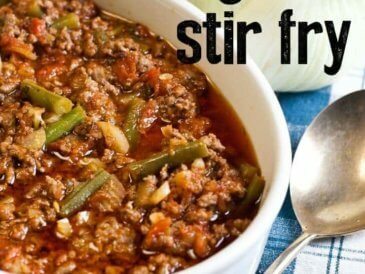 Brown the ground beef until cooked in a large skillet or wok over medium-high heat. Add chopped onions, peppers, and squash or zucchini to the pan and saute, stirring constantly, until starting to soften. Spice to taste (this will really vary by family preferences). To use as a breakfast scramble, simply make a frittata or put in an omelet. 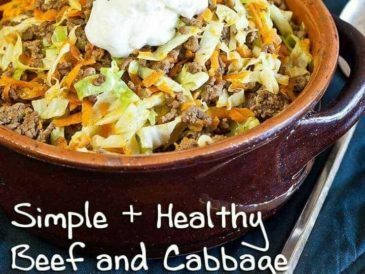 Beef and Cabbage – Build this meal in the same way as Taco Scramble, but use cabbage, carrots, basil, and oregano for a completely different flavor profile. 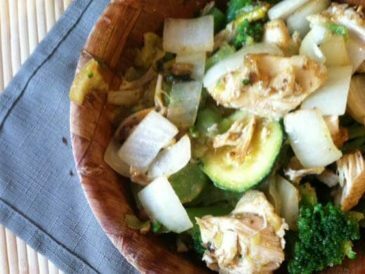 Chicken and Vegetable – Chicken breasts, broccoli (even frozen! ), and basil round out this simple but nourishing stir-fry. Beef and Broccoli – More traditional Asian stir-fry flavors, with healthier substitutes like coconut aminos for soy sauce and coconut oil for processed vegetable oil. Chicken Apple – An entirely different set of flavors, sautéed the same way in a quick stir-fry scramble. Fennel is a powerful detoxifier and blends well with the slight apple sweetness. What is your go-to Mexican or stir-fry meal? Will you try this? Share below!